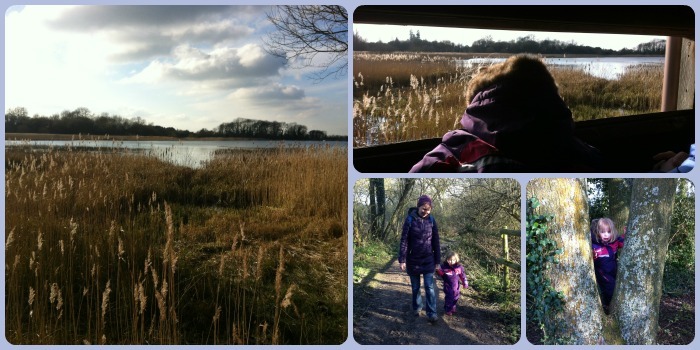 A couple of years ago we stumbled upon Weston Turville Reservoir and enjoyed a walk around. Today we decided to re-visit as we wanted to make the most of the winter sunshine. It's hidden away a bit, but it's really lovely. Our first stop was the bird hide where we sat for a little while and spotted a heron, lots of seagulls and some swans. When we came out we could hear a woodpecker. We couldn't spot it in the trees though. The reservoir looked lovely with the sun shining down on it. There's a good path around the reservoir which along one side wasn't too muddy but got muddy in places along the other side. Little Miss A managed to get stuck in the mud in one spot and fell over but she just got up, asked us to wipe her hands and then carried on walking! It was a really nice walk and Little Miss A almost made it the whole way round on her own 2 legs! 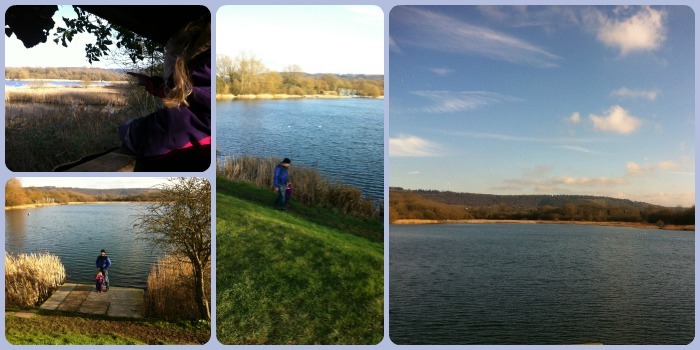 It took us about an hour to walk around and was just what we needed for this afternoon to get us out in the fresh air. And it didn't cost us anything as there's no parking charges etc. You can read more about our first visit in 2014 - Ragpits and Reservoir.